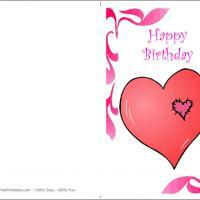 These pink bordered free printable cards with a large heart with a hand-stitched heart patch only sends warm love to the person celebrating their birthday. 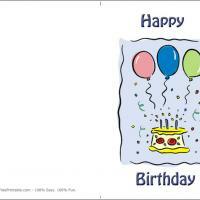 These printable birthday cards are a great way to show someone how much they mean to you. It's especially perfect for those birthdays which are celebrated around Valentine's Day for a double dose of best wishes. 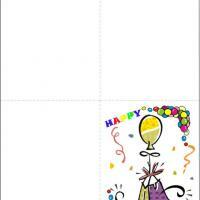 Before printing this card you can design the inside page with more pink hearts along with a very cute birthday message. It's the ideal way to easily show someone how much they mean to you. Print one off today! Traditionally, a big red heart always symbolizes how much someone really means to you. 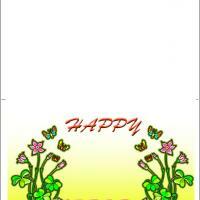 Our Heart Patches card goes a step further. The large red heart has a little hand-stitched heart patch to let them know you will always save a special piece of your heart just for them. Pink swirls of a delightful scroll pattern frame the front of this card. 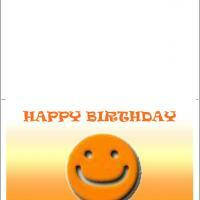 A simple but true happy birthday greeting is the finishing touch. But, the real finishing touch is when you use our custom print option and add your very own personalized message right inside. They will treasure you card for a long time. The heart is a treasure chest full of precious thoughts of our loved ones. The heart always has room for one more. Our Heart Patches free printable birthday card features a large red heart that includes a little heart-shaped patch on the right-hand side. It shows how you have included a piece of their heart forever in yours. This card is a single-fold card with pink scrolled accents on each corner to perfectly frame the large red heart design. Happy Birthday is gracefully perched across the top too. The inside covers are blank. Be sure to include some more heart shapes from our list of custom print images available so you can personalize each and every card you print.